What a client can expect is personal attention from an experienced attorney. At our law office, we emphasize the importance of personal services that helps you relieve your legal stresses. Be it family law, probate law, or personal injury law, our comforting attorney, with over 30 years’ experience, forceful yet with a quiet demeanor, guides you through all legal matters pertaining to your individual case. James R. Kennedy, Jr. has more than 30 years of experience in the legal field. Mr. Kennedy has practiced law as a sole practitioner since May, 1982, and has been in the same location since 1983. It is his mission to offer personal and affordable services when you need them the most. By having personal communication with each and every client, I can provide reasonable expectations of outcomes and the costs and fees associated. I attempt to identify the objectives to be accomplished so that issues may be resolved. However if litigation is required, I have the experience, skill and knowledge,and ability to litigate if necessary. 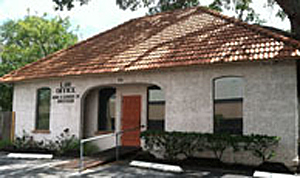 Located in the "Historic Caretaker’s Cottage" in downtown St Petersburg, which appears on the 1880 census, The Law Office of James R. Kennedy, Jr. is an established practice of more than 30 years. I have a history of stability with the staff. My paralegal has been with my office for over 12 years. The history of stability and the history of my staff serves to enhance the personal attention and attention to detail. We offer a free initial consultation either by telephone or live in person. Call us today at 727-821-6888 or fill out the form below.